Judge Madan Singh Chaudhary carried out a physical inspection of the cow and the case will be again heard on April 15. The cow was produced in court and a physical identification was done. 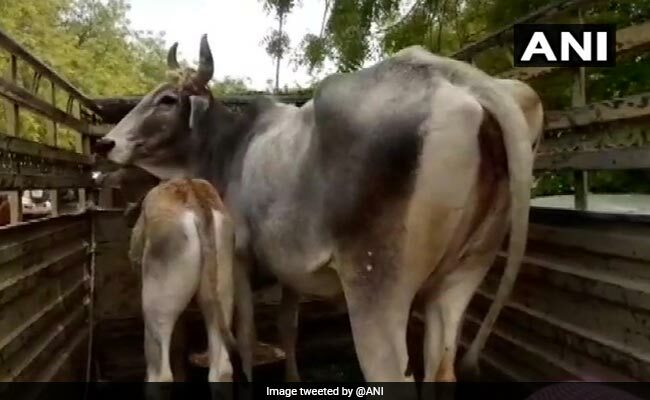 In an unusual turn of events, a cow was produced before a local court on Friday in Rajasthan's Jodhpur over a dispute to decide its owner. "The dispute arose between a police constable Om Prakash and a teacher Shyam Singh over the ownership of the cattle. With mutual decision, the cow was moved to the cow shelter. But the issue did not end there", Lawyer Ramesh Kumar Vishnoi was quoted as saying by news agency ANI. A case was also registered in Mandore Police Station in August last year. Since the police failed to solve the case, the matter was then moved to the Metropolitan Magistrate court in Jodhpur.